A fantastic jump-up-and-clap outpouring of spirit from the Apostolic Tabernacle Mass Choir of Merced, California. O Lord, I beseech you mercifully to hear the prayers of your people who call upon you; and grant that they may both perceive and know what things they ought to do, and also may have grace and power faithfully to fulfill them; through Jesus Christ your Son our Lord, who is alive and reigns with you, in the unity of the Holy Spirit, one God, now and forever. I bind myself to you this day, oh Christ, in your truth and in your sacrifice. I give to you my anxiety and my fear, my depression and my doubt, for you have promised to take them if we only ask; and I take upon myself your burden, for it is light and your way is gentle. May I keep this in my heart and mind all this day and through the coming week. Most people reading the Gospel will find themselves sympathetic to John's astonished question: “Do you come to me?” Why would Jesus Christ want to be baptized? He did not need to be cleansed of his sin, for he was without sin. The only Gospel that gives any real explanation is John: “I myself did not know him, but for this purpose I came baptizing with water, that he might be revealed to Israel.” (John 1:31) And indeed, how were people suppose to recognize this humble carpenter's son as the Son of God, the Messiah, the Savior of the World? John the Baptist was, we must remember, Christ's herald. The sole purpose of his baptism ministry was to prepare for the coming of one greater than himself; his message was: “Make straight the way of the Lord” — prepare yourselves for the kingdom of God. 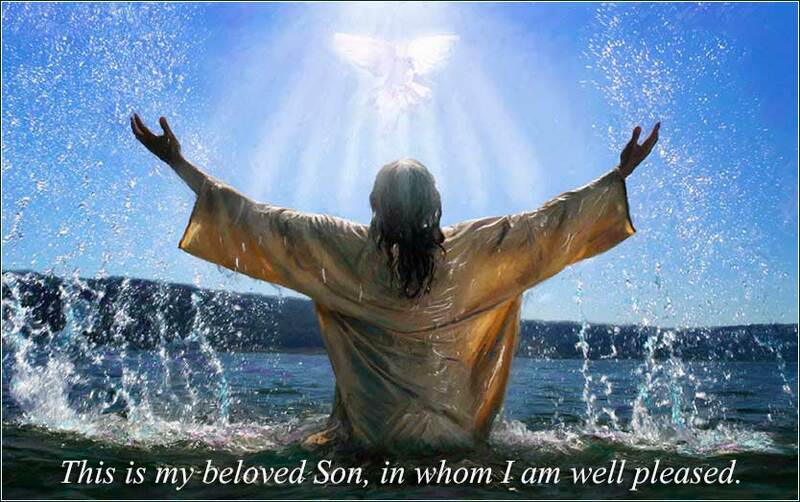 God wanted Jesus baptized — or, if you will, Jesus wanted John to baptize him — so that his arrival would be unmistakable. For reasons we will never know, he had spent most of his first thirty years incognito, for the most part simply being a human being. In short, if you will excuse the pun, he wanted to make a splash. There were at least two additional side effects for the benefit of the Jews. First, baptism was performed by the Jews only upon converts. A full-blooded, circumcised Jew, being born into righteousness, had no need of baptism: or so they thought. Baptism was for sinners. But if Jesus, whose bloodline was impeccable, underwent baptism, how could devout Jews think that should not require it? Jesus' baptism symbolized, effectively, the end of the covenant of Moses. It was the “fulfillment of righteousness,” the moment at which the contract was fulfilled. Secondly, much of Judaic theology looked for Elijah to return and act as the herald of the Messiah. Although John the Baptist denied that he was actually Elijah (John 1:24-27), his preparatory work, his office as a prophet, was validated. No explanation or commentary can add anything to the wonderful moment when Christ arises from the water of the River Jordan. He is met by a physical manifestation of both the Holy Spirit, as a visible sign, and God the Father, as an audible sign. Christ, the man, is fully God. It is the moment when he is fully revealed to us. 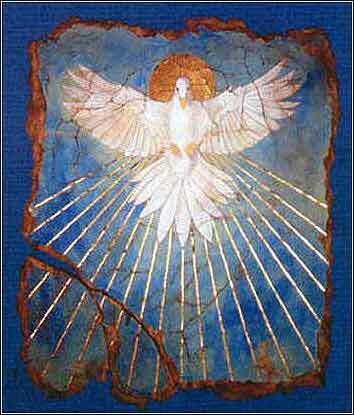 The dove, among the Jews (as among many societies), was the symbol of purity of heart, harmlessness, and gentleness. For the Spirit to descend on Jesus as a dove signified the startling truth: the Messiah was far from the sword-wielding belligerent, the mighty general to unite the armies of Israel against their Roman oppressor, that the Jews were expecting.